We still have a long ways to go until all the Black Friday 2019 deals on Xbox One S arrive. But you can scroll down the page to check out the details from last year’s sales to get an idea of what’s likely to come. Enjoy! Updated on Sunday November 18, 2018: With the Xbox One X out and on sale for the first time this Black Friday, this year is setting up to have some of the best Xbox One S Black Friday deals we’ve seen since we first started tracking them three years ago. And lucky for you, we’re again watching out for the best offers coming this Thanksgiving weekend. Let’s take a look at what our team has been able to verify. Microsoft Xbox One S 1TB Minecraft Creators bundle. It includes the console, one controller, the games, and 1000 Minecoins. It’s on sale for $199.99 + Get $60 in Kohl’s Cash. Price after Kohl’s Cash savings is $139.99. It’s normally priced for $299.99. So far this is the best Black Friday deal of the season! The offer goes live on Thursday, Thanksgiving day 12:01AM CT at kohls.com (November 22, 2018). In stores you can shop the sale later in the afternoon at 5:00PM on Thursday. See the ad posted below for details. On page 14 of Walmart’s Black Friday ad this year you’ll find the Xbox One S 1TB Minecraft Creators Bundle on sale for $199. All other Xbox One S bundles are priced at $229/each. On page 13 of Best Buy’s Black Friday ad this year you’ll find the Microsoft Xbox One S 1TB Minecraft Creators Bundle on sale for $199.99, saving you $100. You’ll find a number of deals at Amazon’s Black Friday sale this year. Whichever Xbox bundle you decide on, it’s worth comparing the sale prices to those available right now at Amazon. You’ll find the Xbox One S Minecraft bundle featured in Sam’s Club Black Friday ad this year. It’s on sale for $199 ($100 off). This is an online-only offer that is not available in stores (however free shipping is included). You can shop the sale at samsclub.com starting at 12:01AM EST on Thanksgiving day (November 22, 2018). All prices in the ad are valid through November 25, 2018 or while supplies last, whichever comes first. This year Costco is featuring three different Xbox One S bundles in their ad. You’ve got the 1TB bundle with console, 2 controllers and a 3-month Game Pass for $70.00 off. You’ve got the same bundle with 2 games included, FIFA 19 and Madden 19, also at $70.00 off. And the last bundle is for the 1TB console, 1 controller, Micecraft game download, and a 3-month Game Pass of $100.00 off. All of the Xbox One S bundles go on sale earlier than the rest of the items in the ad — On November 18, 2018, both in-stores and on Costco’s site. The sale lasts through November 26, 2018 or while supplies last, whichever comes first. And as always, you’ll need to be a current Costco warehouse member to shop their store or you’ll need to go with a buddy who is. Xbox One S 1TB Minecraft bundle on sale for $199.99 & includes a Free $20 Target GiftCard with purchase. Includes the console itself, Minecraft game and one controller. Regularly priced at $299.99 so you’re saving $100. All other Xbox One consoles sold at Target will be $70.00 off their regular price during their Black Friday sale. Dell.com is featuring the Xbox One S 1TB Battlefield V Bundle in their Black Friday ad this year. It’s on sale for $229.99 (normally $299.99) and can be picked up November 18—25, 2018 on their site, while supplies last. Limited quantities will be available. You’ll find the Xbox On S 1TB Minecraft bundle featured in BJ’s Black Friday ad this year (on page 41). It’s sale priced for $229.99 (that’s $70 off their regular price). Other bundles also available. JCPenney has the Xbox One S 1TB Minecraft bundle featured about half-way in their Black Friday ad this year. It’s on sale for $199.99 (normally $299.99). You’ll be able to shop the offer all day on Thursday, Thanksgiving day at jcpenney.com (while supplies last). In stores the sale begins when doors open at 2:00PM Thursday and ends at store closing time on Black Friday, November 23, 2018. Meijer has the Xbox One S Minecraft bundle featured on the 1st page of their Black Friday ad this year, on sale for $199.99 (that’s $100 off). Limit 2 per customer. You can also pick up a Xbox One Wireless Controller on sale for $39.99 (regularly priced at $59.99). What’s your favorite Xbox One S bundle this year? Let us know in the comments (the comments section can be found at the bottom of this page). — Xbox One S 500GB on sale for $189.99. You’ll also earn $45.00 in Kohl’s Cash as an extra perk which effectively drops the price down to $144.99. — Xbox One S 1TB Halo Wars 2 Bundle on sale for $329.99. It includes the console, two controllers, and the downloadable version of Halo Wars 2. You’ll also earn $45.00 in Kohl’s Cash on this bundle which effectively drops the price down to $239.99. If you haven’t used Kohl’s Cash before then you can learn more about it on our main Kohl’s Black Friday page. Gamestop: Just one look at Gamestop’s Black Friday 2017 ad and you’ll know that their gaming deals this year are good. Among the doorbuster offers you’ll find the 500GB Xbox One S on sale for $189.99 or bundles with a game for as low as $229. All new 1TB Xbox One S systems are also $50.00 off. Shop the sale on Thursday, Thanksgiving day, on their site and in-store starting at 4:00PM (Nov. 23, 2017). Dell: Dell has two Xbox One S deals in their Black Friday ad this year, both of which you can pick up at dell.com. The first one is for the 500GB console itself on sale for $189.99 (that’s $90.00 off). Offer valid from Thanksgiving day , November 23, 2017, through early Saturday morning (November 25, 2017 at 3:59AM PST) or while supplies last. The second deal is a online-exclusive “doorbuster” offer that starts at 11:00PM ET on Thursday, November 23, 2017. It’s for the Xbox One S 500GB Battlefield 1 Bundle with Forza Motorsport 7 and Forza Horizon 3 games included, on sale for $229.99. The market value of this bundle is $389.97 — That’s a savings of $159.98! Expect it to sell out quickly. Best Buy: Best Buy has two Xbox options highlighted in their Black Friday ad for you to choose from this year. The first is the 500GB console with one controller (no game) on sale for $189.99. Your second option if for the xbox One S bundle on sale for $229.99… it includes the 500GB console, Madden NFL 18, and two controllers (one’s in the box and the other comes free with purchase). Shop the sale beginning Thursday, Thanksgiving day online> and in stores later that afternoon when doors open at 5:00PM (that’s November 23, 2017). Available while supplies last. Target: Head on over to target.com or in stores starting on Thanksgiving day to pick up Microsoft’s Xbox One S 500GB gaming console with one controller on sale for $189.99 (that’s $90.00 off). It also comes with a $25.00 Target Store Gift Card so your final price is $164.99 with savings. Stores open from 6:00PM to Midnight on Thursday, Thanksgiving Day (Nov. 23, 2017). Then they reopen at 6:00AM on Friday (Nov. 24, 2017). Free shipping for all online orders. Limited quantities available and will likely sell out quickly. Official details and terms can be found in Target’s Black Friday 2017 flyer. Sam’s Club: Sam’s Club is advertising the Xbox One S 500GB console with controller for $189 in their 2017 Black Friday flyer. You’ll also get free shipping if you pick it up at samsclub.com. Shop the sale starting at 12:01AM EST online on Thanksgiving day (Thursday Nov. 23rd) or in-stores at 7:00AM on Black Friday (Nov. 24th). BJ’s Wholesale Club: This year BJ’s is offering $50.00 off any Xbox One S game system bundle in stock at your local BJ’s Wholesale Club store. The bundles available will vary so see store for your options. The sale on this begins earlier than their other Black Friday deals this year — November 19th. Offer ends November 27, 2017 (on Cyber Monday) or while supplies last. Similar to Costco, you’ll need to be BJ’s Wholesale Club member in order to shop in their stores. All locations will be closed on Thanksgiving day. Costco: You’ll find two Xbox One S deals in Costco’s Black Friday ad this year (see pages 51 and 59). The first is for $80.00 off an Xbox One S bundle that includes the console, two controllers, and a 3-month Xbox game pass. Offer valid in-stores between November 24 — 27, 2017, while supplies last. The second deal is available only at costco.com — It’s for $90.00 off on the Xbox One S bundle with two controllers, a 3-month Xbox game pass, and two games (Madden 18 and NBA 2K18). Offer valid November 23rd through 27th, 2017. Just remember that you’ll need to be a current Costco club member in order to shop their Black Friday deals. Meijer: Meijer has three Xbox deals for you to choose from in their Black Friday ad this year. You can get the Xbox One S 500GB Madden Console Bundle on sale for $229.99 (that’s $50.00 off. It also comes with a $25 coupon that you can use on your next trip to Meijer so with savings, it drops the price o the bundle to $204.99. Your second option is the the 500GB console with controller on sale for $189.99 (that’s $90 off). And finally, you can save $50 on the 1TB console and pick it up on sale for $299.99. Sale begins early in the morning at 6:00AM on Thursday, Thanksgiving day (November 23, 2017) and will be available while supplies last. Limit one per customer. Shopko: You’ll be able to choose between just the Xbox One S console or the bundle at Shopko’s Black Friday sale this year. The Xbox One S 500GB console with one controller will be on sale for $189.00 (that’s $90.00 off their regular price of $279.99). Then there is the Xbox One S 1TB that comes with Assassin’s Creed and Rainbow Six Siege on sale for $299.99. (that’s $50.00 off their regular price of $349.99). Both are listed as doorbuster deals and will only be available in stores beginning Thursday, Thanksgiving day, at 4:00pm (that’s on November 23, 2017). Overstock: Head on over to Overstock to get the Xbox One S 500Gb at their Black Friday sale this year. We just don’t know the exact start and end dates for the sale so be sure to check their site as we approach Black Friday. Fred Meyer: You’ll not only be able to pick up the Xbox One S 500G console on sale for $189.99 (that’s $90 off) at Fred Meyer’s Black Friday sale this year, but also Xbox One controllers on sale for $49.99 with in-store coupon. The console is limited to one per customer. The sale begins bright and early at 5:00AM on Black Friday morning (November 24, 2017) in stores. Available while supplies last. Navy Exchange: Pick up the Xbox One S 500GB console on sale for $189.99 at Navy Exchange’s Black Friday sale this year. You can also get an extra wireless controller for $49.99. Offer valid Thursday, Thanksgiving day through Saturday (Nov. 23—25, 2017) or while supplies last. Stores closed on Thanksgiving day but will be open on Black Friday from 5:00AM. Just keep in mind that similar to AAFES, only active-duty military, reserve, and National Guard employees will be able to shop at NEX. Other Sony Retailers: So it’s now official, the Playstation blog just announced that all participating retailers will be running their PlayStation Black Friday deals from November 19—27, 2017 (ending on Cyber Monday). That includes all PlayStation VR bundles like the Gran Turismo Sport Bundle and Skyrim VR Bundles. All DualShock 4 wireless controllers will start at $39.99. And all PlayStation Plus members can shop the deals starting November 17th (including up to 40% off select games). We’re also watching the deals coming on Xbox One X but don’t expect to see much, if any discounts at all this year (with it being released in early November, you’ll be lucky to even find one to buy at full price before Christmas… mid-2018 is when the discounts on Xbox One X will likely arrive). Updated November 24, 2016: Happy Thanksgiving! If a new Xbox One S game system console or some new games are what you’re mostly looking forward to finding on sale this Black Friday weekend, then we’re once again tracking all of the top 2016 Xbox One deals coming from our favorite stores. Each year the price points and game options vary; in 2015 most stores had bundles priced at around $299.99, some with free store gift cards or extras like controllers with it. Looks like the price points are even lower for 2016 at around $249.99, with select games expected to be 40% to 60% off. – Kohl’s: You’ll be able to pick up Microsoft’s new Xbox One S 500GB bundled with Minecraft on sale for $249.99 (regularly $299.99). What makes this a killer deal is that you’re also getting $75.00 in Kohl’s Cash with this purchase (effectively dropping the price down to $174.99!). Stores open once again at 6:00PM on Thanksgiving day however many of their Black Friday deals will be available early, starting Monday November 21st, on their site. – Dell: Beginning at 9:00PM EST on Thanksgiving day (Nov 24, 2016), Dell will be having a doorbuster Black Friday special on the Xbox One S 500GB “Battlefield 1” bundle for $249.99, But what makes this a great deal is that you’re also getting the “Gears of War 4” game and an extra wireless controller with it for a total savings of $170.00. You’ll just have to be quick to get it as we suspect it will sell out really fast. See their site for full offer details. – Walmart: Walmart will be offering $50.00 off any Xbox console. That includes the Xbox One S White 500GB Battlefield bundle that will be in sale for $249.00 and the Xbox 360 500GB Forza Horizon 2 Bundle that will be on sale for just $129.00. You’ll also find Xbox One controllers on sale for $39.00/each and 6-month Xbox Live subscription cards for $25.00/each. The sale begins at 6:00PM on Thursday, Thanksgiving day, in-stores (Nov. 24th). – Target: Just like most of the other stores this holiday weekend, Target also has the 500GB Xbox One S bundle with your choice of Battlefield and Minecraft for $50.00 off the list price (on sale for $249.99). But they go a step further giving you a a free $40.00 Target gift card. So that drops the price down to $209.99 with savings included (an awesome price!). – Gamestop: Gamestop will be offering the Xbox One S Gears of War 4 or Minecraft bundles, your choice at $249.99/each (500GB version – 1TB console is $50.00 more). You can also pick up the older Xbox One 500GB, preowned, for $219.99. The sale goes live on Thursday, Thanksgiving day (Nov 24, 2016) online. Stores are closed this year on Thanksgiving day but open on Black Friday at 5:00AM. All offers valid through Sunday November 27, 2016 while supplies last. – Sam’s Club: Starting Thanksgiving day online and Friday at 7:00AM in-stores, you’ll be able to pick up one of two Xbox One S bundles for $249.00 (normal club price of $353.00, savings of $104.00). Choose from either the Battlefield 1 or Minecraft bundle, both of which include the new slim design 500GB console, two white controllers, and the digital download of the game. Online shoppers also get free shipping. – Best Buy: Best Buy will most of their Xbox One S bundles on sale, starting Thanksgiving day, at $50.00 off (just like everywhere else). However, if you pick up any Xbox One S 1TB console then you’ll also get a free wireless controller. Be sure to also check out the games on sale. – Toys R Us: Toys R Us will also have both Xbox One S 500GB bundles on sale that we’re seeing everywhere else this year; choose from either the Battlefield 1 or Minecraft on sale for $249.99. They also have up to $25.00 off select Xbox games, including Grand Theft Auto, The Division, Overwatch, and others, as well as 3-month Xbox Live cards on sale for $14.99/each (that’s $10.00 off). The sale begins Wednesday night 11/23 online and Thanksgiving day 11/24 at 5:00PM in stores. – Shopko: Shopko will have the larger 1TB hard-drive version of the Xbox One S “Gears of War 4” Bundle on sale for $299.99. You’ll also get “$100 savings in electronic coupons” but we don’t know what’s in there at this moment and what that’s really worth. Be sure to also check out their doorbuster video game deals for as low as $19.99 and the 3-month Xbox Live Gold Card deal for $14.99 (normally $24.99). Sale begins Thursday, Thanksgiving Day, November 24th in stores at 4:00PM local time when doors open. – Costco: Costco will be having two different Xbox deals, one available in-store and one only online. The first one is the one we all want to get and of course they’ll make us go in-store to find it. That’s the Xbox One Slim 500GB Minecraft bundle that’s $50.00 off. At our local Costco it’s listed for $289.99, so with the $50.00 off, that makes it a cool $239.99 (prices may vary by location). 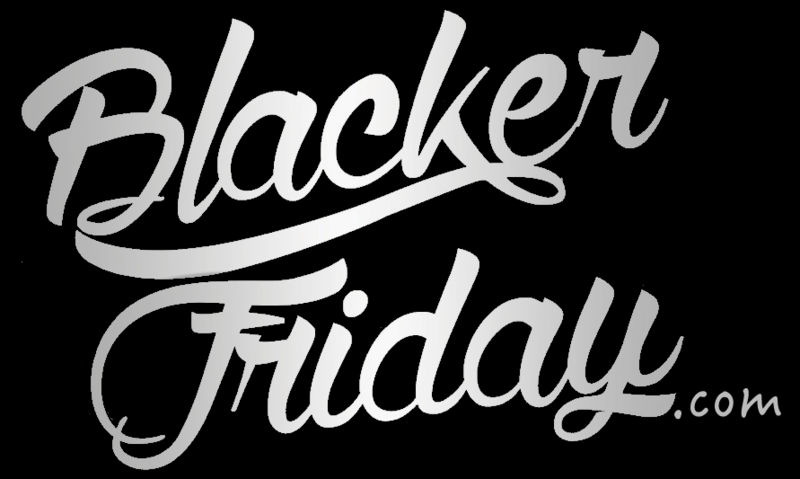 Stores open at 9:00AM on Black Friday. The second offer from Costco is for the Xbox One Battlefield Elite Bundle for $50.00 off as well. However, from the ad we’re not sure if this is for the original Xbox One or Xbox One S as no item number is listed. This deal will be available on Thanksgiving day, online only at costco.com. And remember, you have to be a current Costco Club member to shop either online or at one of their warehouse locations. – BJ’s Wholesale Club: BJ’s will be offering the Xbox One S (500GB model) with Mincraft Bundle for $50.00 off their regular price for Black Friday. You’ll also be able to pick up assorted gaming controllers on sale from $39.99 to $49.99/each. Plus check out the Xbox games on sale from $33.99/each (after $20.00 off). These offers are available from Friday November 25th through Cyber Monday November 28th, 2016, in stores and on their site. – Overstock: Overstock.com is featuring the Microsoft Xbox One S 500GB Mindcraft Collection Bundle for $299.99 for their Black Friday sale this year. You’ll also be able to pick up Battlefield 1 for $39.99 (that’s 33% off ). – hhgregg: The two standard Xbox One S 500GB bundles will be offered at hhgregg this year, your choice of either Battlefield 1 or Minecraft. They will also have an Xbox One Wireless Controller with Headphone Jack on sale for $49.99 ($10.00 off), an Xbox One Wired Camo Controller on sale for $29.99 (also $10.00 off), and the Afterglow Level 3 White Stereo Headset for Xbox One on sale for $34.99 (that’s $5.00 off). You’ll be able to pick up any of these deals online starting Thanksgiving day (Thursday, Nov. 24, 2016) or the next day on Black Friday morning (Friday, Nov. 25, 2016) at 7:00AM when stores open (limit one per customer, while supplies last). – AAFES/Shop My Exchange: AAFES will have the 1TB Xbox One S Military Appreciation bundle on sale for for $279 vs. the regular price of $329. It includes Battlefield 1 and a one-month Xbox Live card. Item #8151592. The sale begins when stores open at 4:00AM on Black Friday (Nov. 25, 2016). Just keep in mind that only army and military personnel with a current Military ID can shop at AAFES. With Xbox being one of the most popular items once again for Christmas this year, there are some many stores this holiday that are competing for your business. And of course Black Friday is where we’ll see some of the best deals of the year! Dell – Dell.com is having an online doorbuster exclusive that’s so good, it’s made it to the top of our favorites list this year. For $299.99 you’ll get the 500GB Microsoft One Xbox Gears of War: Ultimate Edition bundle, Fallout 4 game, an extra controller, and 3.5mm headset. That’s a total savings of $170.00 (valued at $469.99). Microsoft Store – This is where you’ll find the largest selection of game consoles bundles – 12 in all – each at $50.00 off with systems starting at $299. You’ll also be able to choose form over 150 games on sale at 40% to 60% off. Plus, Xbox One or Xbox 360 owners can upgrade to Gold through their console for $1 for the first month of membership if purchased on Black Friday. Best Buy – Here they have the Microsoft Xbox One Rise of the Tomb Raider Bundle (in black) on sale for $349.99 ($50.00 off). But as an added bonus, you’ll also get a free Wireless controller with the bundle purchase. They also have a number of games on sale for just $29.99 each including Madden NFL ’16 and FIFA ’16. Walmart – Like the Microsoft Store, Walmart too is offering $50.00 off Xbox One bundles which drops the price of many to $299.99, but they also through in an extra $30.00 store gift card with it. That includes on this year’s most popular bundle – The Gears of War: Ultimate Edition bundle. Or you can choose from the more expensive Ultimate Edition bundles on sale for from $349.99. You can also pick up you Gold membership for half price for $12.50 for your first three months. Target – Like some of the others here above, Target has the 500GB Xbox Gears of War: Ultimate Edition bundle for $50.00 off, listed for $299.99. But here they are throwing in a $60.00 store gift card with purchase. Amazon – We love Amazon, and on a day like Black Friday you can expect them to have some of the lowest prices on nearly EVERYTHING. While of course the prices chance constantly (we don’t want to quote any prices because we’ll get in trouble if they change throughout the day slightly) but you’ll save around $50.00 off the already lower sale prices on nearly very console game system bundle. You can also pick up a few game on sale for $25.00 off including Metal Gear Solid V: The Phantom Pain (normally lists for $59.99). GameStop – They too are offering the standard $50.00 off on the 500GB Microsoft Xbox One Gears of War: Ultimate Edition bundle. The best deals though come in on their pre-owned games so be sure to check that out to see which one are on sale that you don’t yet have. Toys “R” Us – Here you’ll find, well you guessed it, $50.00 off select Xbox bundles. But at Toys “R” Us they are featuring the Lego Movie bundle so if this is the game you want and not Gears of War, then you also have this option.